Spots are still available for our Fiber Event on April 25. Deadline for artists is April 15. See details below, and please pass along to anyone you think might be interested in participating. And mark your calendar to attend this event as well! 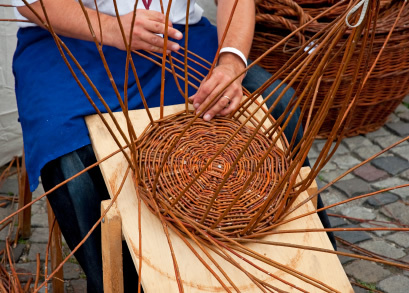 Fiber artists are invited to participate in an all-day Demonstration and Sale on Saturday, April 25th, 2015. 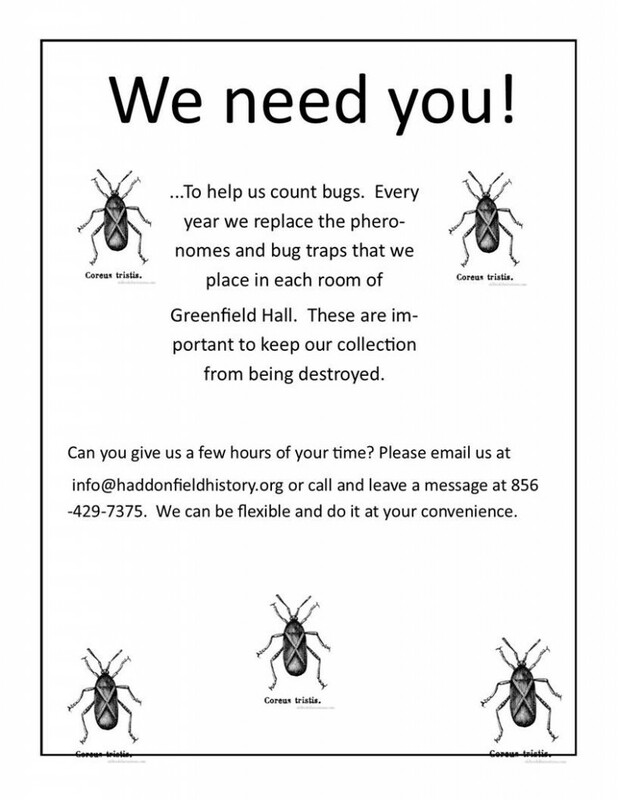 This will be held at the Historical Society of Haddonfield, Greenfield Hall, 343 Kings Highway East, Haddonfield, NJ 08033. Setup for artists will be from 9am to 10am. The public will be invited starting at 10am, ending at 5pm. The public will be invited to watch, learn, and join in with their own projects, as well as purchase items for sale. 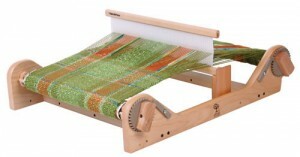 This is perfect for Spinners, hand weavers, knitters, crocheters, and any other fiber artists. Please register by April 15th ensure a spot. A complimentary lunch will be provided for the vendors. *Note what you will be demonstrating as well as contact information. At the end of the event you will receive a $15.00 refund. The society asks for a voluntary $10 donation of days sales to help defray overhead costs for the day. sdsnodgrass@yahoo.com OR call the HSH office at 856-429-7375. The Book Club scheduled for today from 2-4pm has been rescheduled. We will update you with a new date later in the week. 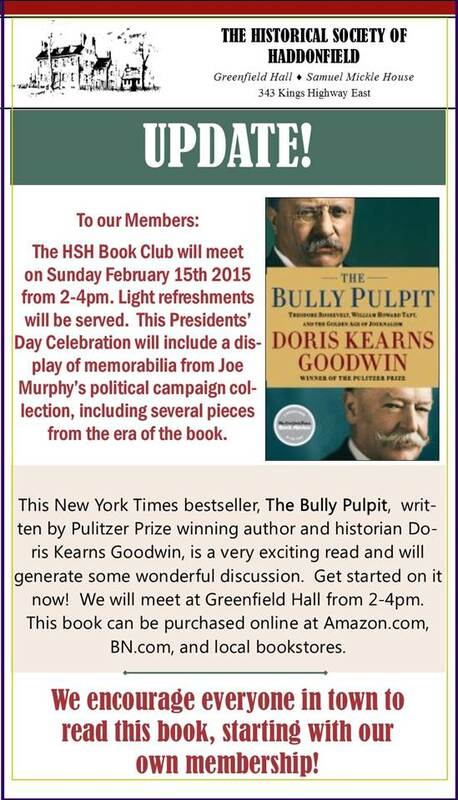 Sunday, Feb 15 from 2-4, the HSH Book Club Meeting! 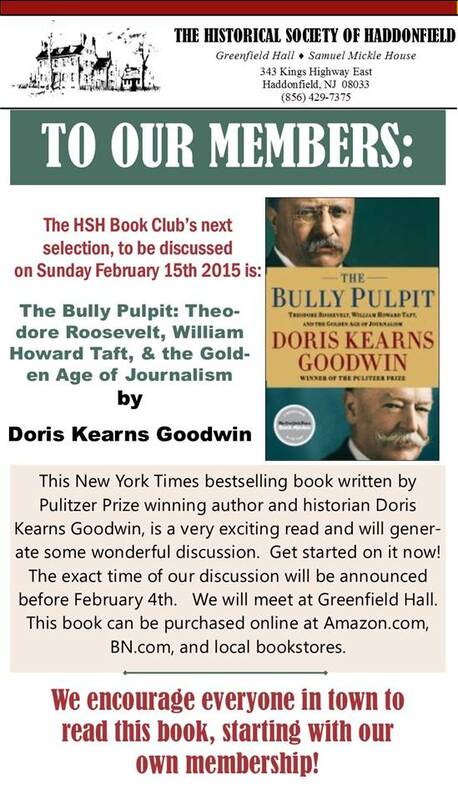 February 4, 2015 Uncategorized Comments Off on Sunday, Feb 15 from 2-4, the HSH Book Club Meeting!